Louis Winsberg met Rock Gresset, one of the rising star of Gypsy Jazz, during the Django 100 tour to celebrate the Art and the Django Reinhardt's guitar where were gathered 100 guitarists. His idea was to introduce him to Antonio El Titi, a flamenco guitarist and his partner in "Marseille Marseille" group. 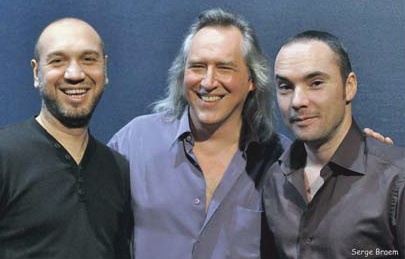 The Trio enjoys linking Gypsy and Flamenco music with talent and virtuosity. The audience can expect a brilliant performance and an amazing guitar collaboration on stage!